It is probably a good time for another beer review. 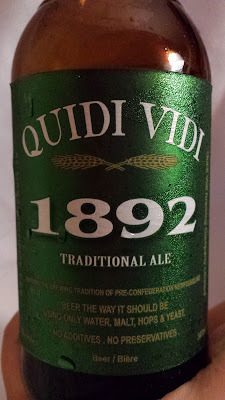 This time the beer of choice is the Quidi Vidi 1892 Traditional Ale. The story behind the name of the beer comes from the great fire of St. Johns which destroyed half of the city. The fire killed 3 people and was started by a farmer who dropped a match into dry hay. Now back to the beer. The initial appearance of the beer is that of a typical ale. It has a golden brown translucent visual characteristic. See how many big words I can use to describe a beers look. To be completely honest, you will not look at the beer cause you will be drinking. As for the taste, it tastes great. Nothing bad about the taste at all. 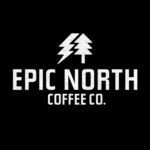 If you have a chance to try it you wont be disappointed. Was the beer hoppy: not realyy. There was a slight hop flavor but not overpowering. Would you buy a case: Yes I would, and yes I did. To be honest I bought a few cases.